A FORMER Finks bikie has pleaded guilty to pulling a shot gun on an ex-Hells Angels after he unknowingly appeared at his unit to help install an airconditioner. 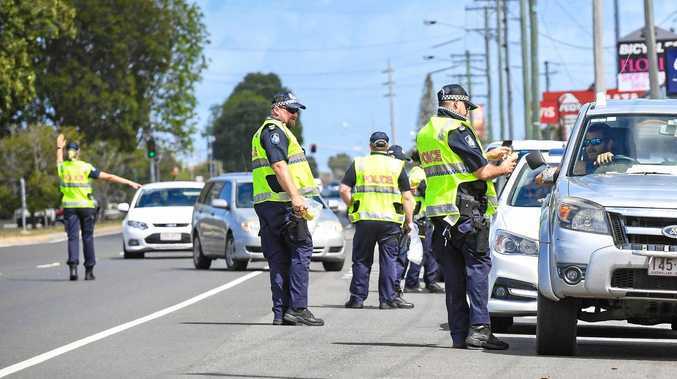 A highly agitated Jacob Stanes told Benjamin Geppert "how about I blow you away" after pulling the gun from a cupboard during the random altercation on Helensvale's ritzy Oyster Cove Promenade in November 2017. 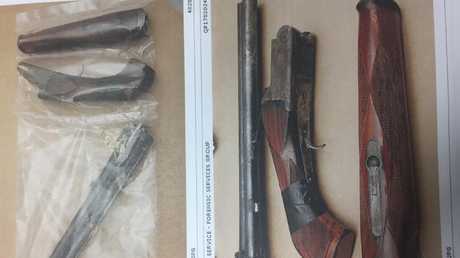 In the Southport District Court yesterday, Stanes pleaded guilty to dangerous conduct with a weapon, common assault and possessing a shot gun, among other offences. The court was told the conflict happened when Stanes' landlord unwittingly called Geppert's father Jeffrey, who runs an electrical business, to install an airconditioning system at the property. Jeffrey, with sons Benjamin and Samuel, arrived to complete the job only to find the tenant, referred to as "Jake", was not home. Moments later, an angry Stanes returned from a shopping trip at Bunnings in a white Suzuki Swift. Crown prosecutor Michael Mitchell said there had been "bad blood" between Stanes and Benjamin Geppert. Jeffrey Geppert said he needed to access the house but Stanes said 'I'm going to bash you', the court was told. 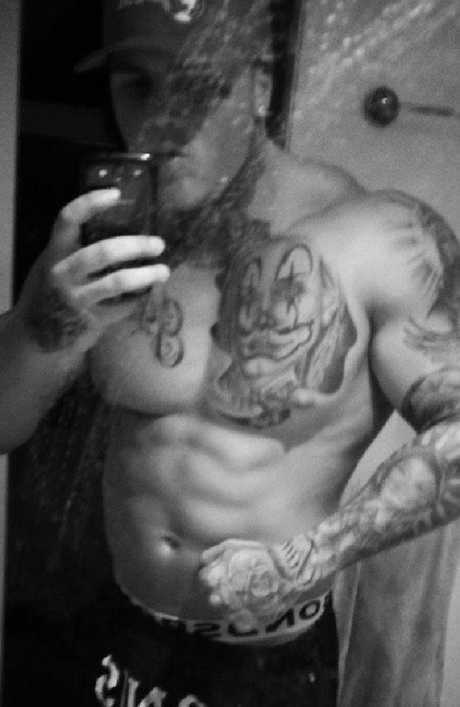 Former Finks and Hells Angels bikie Benjamin Geppert. Source: Facebook. 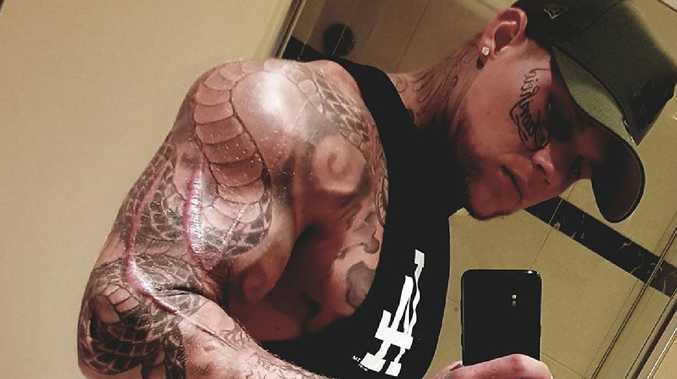 Benjamin Geppert, who was described as an "Instagram bikie", stepped in and told Stanes 'look, if you have a problem we can go for a walk and sort it out'. Stanes responded by walking inside the house where he pulled a shotgun from a small cupboard and told Benjamin and Samuel, 'no, I've got a real problem, how about I blow you way'. Benjamin Geppert charged at Stanes and the pair got into a scuffle where Stanes dropped the weapon, the court was told. Jeffrey Geppert drove his sons from the scene "feeling shaken". 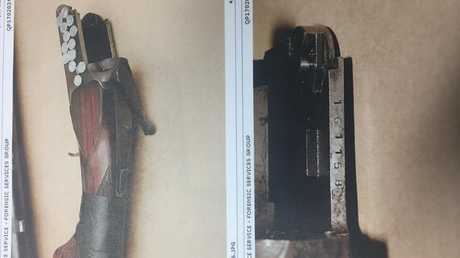 Police later found the weapon was loaded. Defence barrister David Funch, instructed by Dave Garratt of Howden Saggers Lawyers, told the court Benjamin Geppert was a protagonist in the altercation, but did not make a police statement because he had been a member of the Hells Angels bikie club. Mr Funch said Stanes had received online threats from "notorious" bikie Benjamin Geppert before the coincidental meeting. "It's pure happenstance that they were both bikies, or former bikies," Mr Funch said. Judge Catherine Muir said Stanes' actions were serious, violent and reckless. Judge Muir sentenced Stanes to 18 months prison with a parole eligibility date of May 20, 2019. Stanes has been in custody for other matters since October last year.